Above: My mother, Venetia, with my sister, Stella. Above Right: Paleohori, 1959. With my sister, Stella (middle) and our cousin, Stella Koutsouradi (right). Above: As a sixteen-year-old teenager. Above middle: With my auntie, Maria Ahillara. 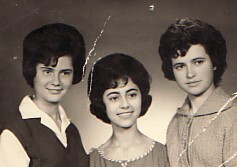 Above Right: With my cousins, Irini and Stella Koutsouradi. I am on the left. Above: With my husband, Pandelis, and our son, Dimitrios. 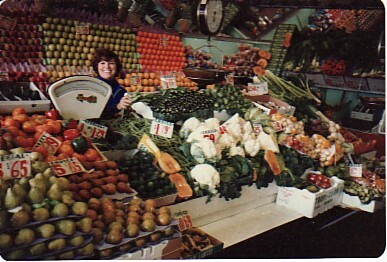 Above Right: In our family business- a fruit shop in Linfiled, Sydney. Circa 1981. Above: My children, Dimitris and his wife, Vivian, Venetia and Efstratios (Steve).